Whatsapp Plus makers recently made Whatsapp Plus officially dead , Because Whatsapp has officially said to ban people who are using Whatsapp Plus . But still Rahil , Who makes Mods for Whatsapp plus made an Anti Ban feature mod of Whatsapp plus . By which whatsapp will not be able to ban Whatsapp Plus users . 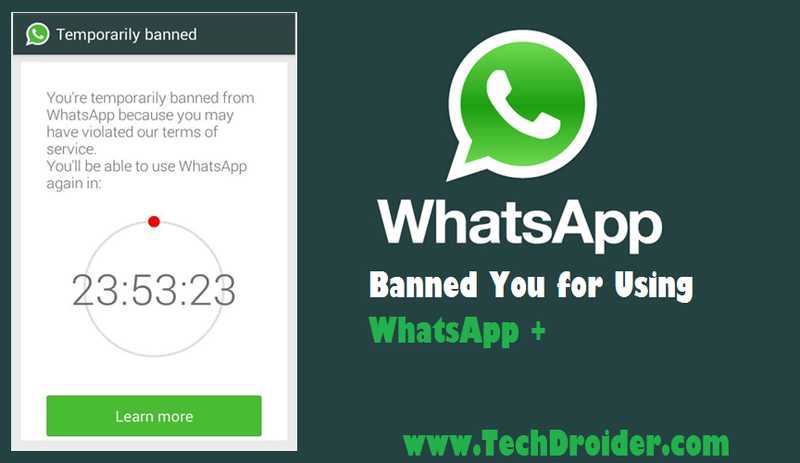 Whatsapp yesterday only revealed a way to Ban even the people who were using Anti ban Whatsapp Plus , More over Whatsapp gave a notice to Rahil to close his website ( Osmdroid ) . So now no more Whatsapp Plus , Also we recommend Those people who are still using Whatsapp Plus to switch to Official Whatsapp Version or get ready to get Banned permanently by Whatsapp .